Most media outlets posted a ‘best of 2015’ photo selection that seemed very predictable–lots of people in distress, no one trying to make change or help others. Here’s my own take, based on the chapters in How To See The World. As with the book itself, it unfolds from single image analysis to comparative and activist engagements that are required by where we now find ourselves. For pictures without commentary, just go here. 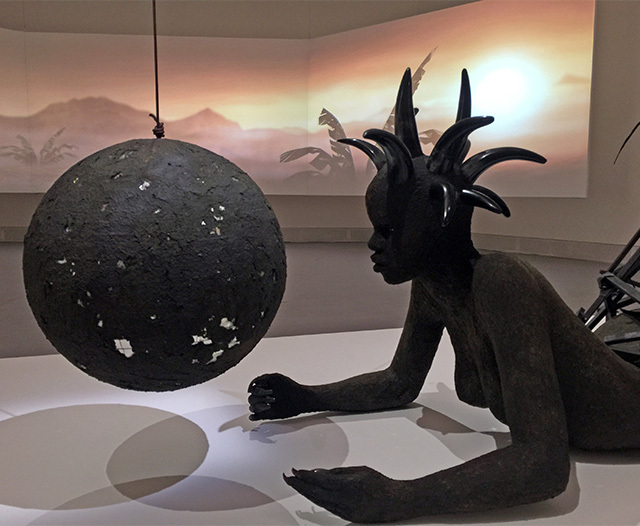 This sculpture entitled “She’s Got The Whole World in Her Hands” by Kenyan artist Wangechi Mutu visualized the condition of global visual culture in 2015: the typical person is a young, urban woman living in the global South. She probably has some kind of access to the Internet (45 percent worldwide now do). How she sees things is very rarely the concern of mainstream Western media, which might explain why they do such a bad job explaining what’s happening, let alone anticipating what might happen next. Is it a Visual Culture yet? For those who still ask what it is, visual culture is now a central part of the mainstream capitalist imaginary, as here in the influential Meeker report on current Internet trends. 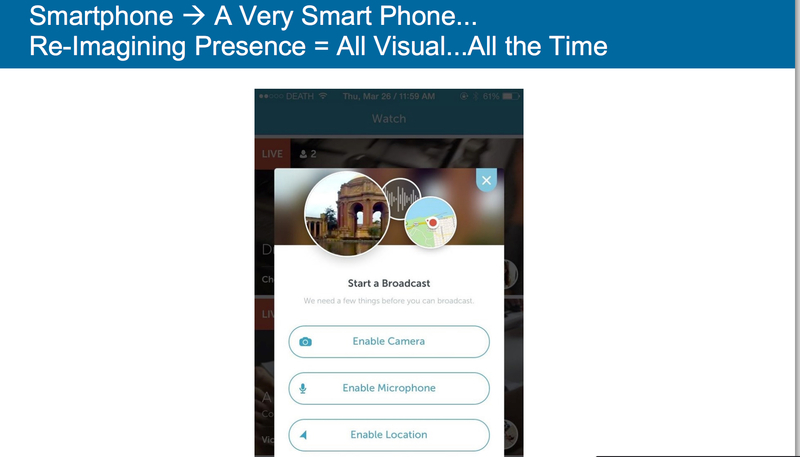 Mary Meeker “reimagines presence” as “all visual, all the time.” This, then, is the terrain both for social and cultural understanding and anti-capitalist action. While there are many components to the visual media of everyday life, photographs are more dominant than ever as the medium of visual exchange. 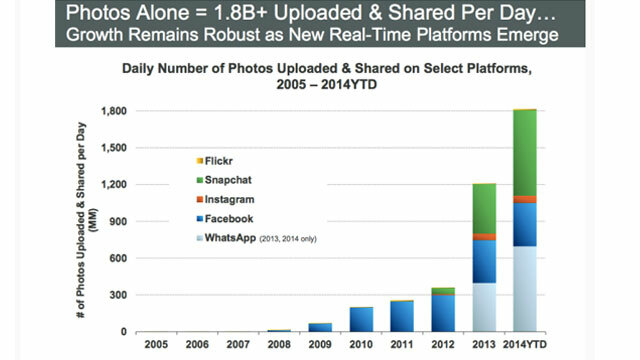 In the above bar chart, it’s noticeable that the primary growth in uploaded pictures comes from messaging apps like Snapchat and WhatsApp. The photo archive Flickr barely registers. Media are now for sharing. The new sharing format that everyone knows is the selfie. Statistics of dubious accuracy abound, such as the “finding” that women aged 16-25 spend over five hours a week taking selfies. The format is now everywhere. 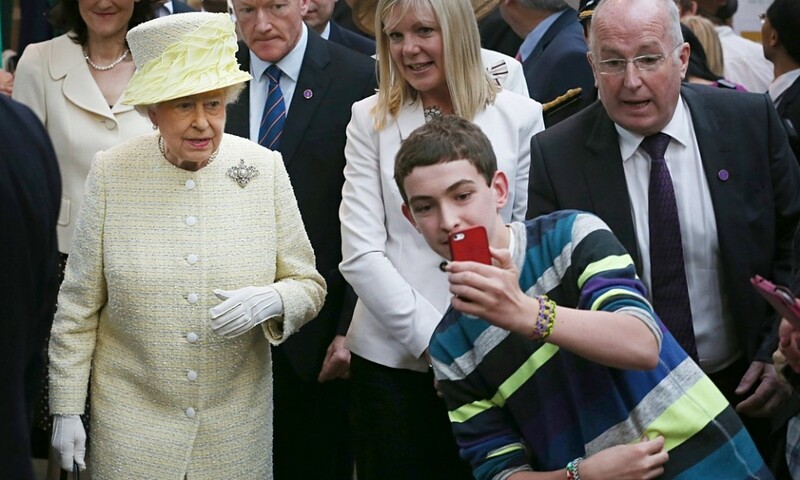 In this (possibly set up) photo of a young boy taking a selfie with Queen Elizabeth II (in the yellow), the vaguely official man at right looks like he might be trying to stop it but the woman in white is carefully posing for the camera. The engine of visual change since World War II has been permanent counterinsurgency. It is now clear that the US/NATO counterinsurgency strategy first enacted in Indochina and then in Algeria during the Cold War has visibly collapsed. The disaster in Syria has become the key factor in the greatest refugee crisis since the Second World War. This photograph became a classic as soon as it appeared. It is, above all, a photograph that results from the war in Syria. No parent would put a three-year-old into a dinghy at night if the alternative were not far worse. 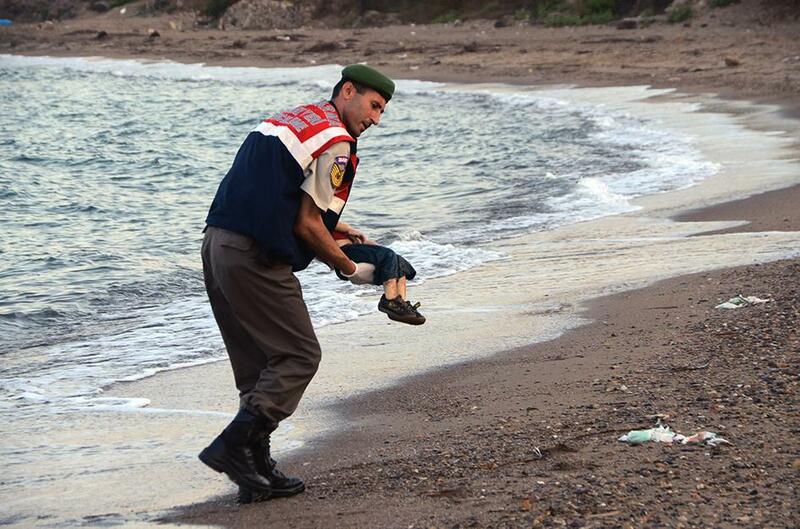 Let us not say the photograph was without effect: countries like Germany and Canada opened their doors to refugees. But Turkey continues its war against the Kurds and the situation in Syria continues to deteriorate, while razor wire fences grow across Europe’s borders. After the Paris attacks, security rather than empathy is the order of the day. This double-edged drama is playing out on social media. 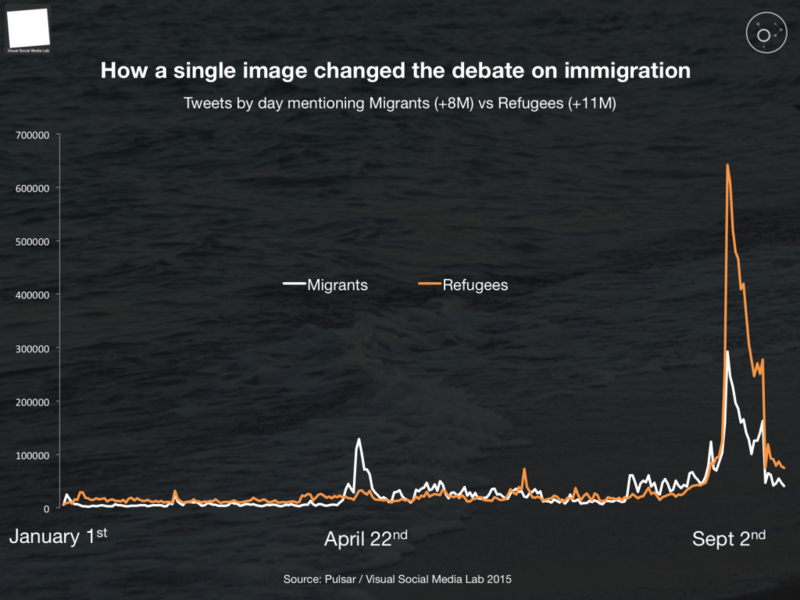 This chart from the Visual Social Media Lab shows how Twitter use of the term “refugee” spiked after the Aylan Kurdi photograph was published. And then it dropped right back down again, it should be noted. The social media corporations are, however, eager to see this kind of disturbing imagery play less of a role on their sites in future. Facebook and Twitter have introduced “opt-in” systems for whatever they determine to be troubling imagery. The number of views on this video from Palestine show that it has not been fully effective yet. But even so, the opt-in creates data that both Facebook and security services might find intriguing. 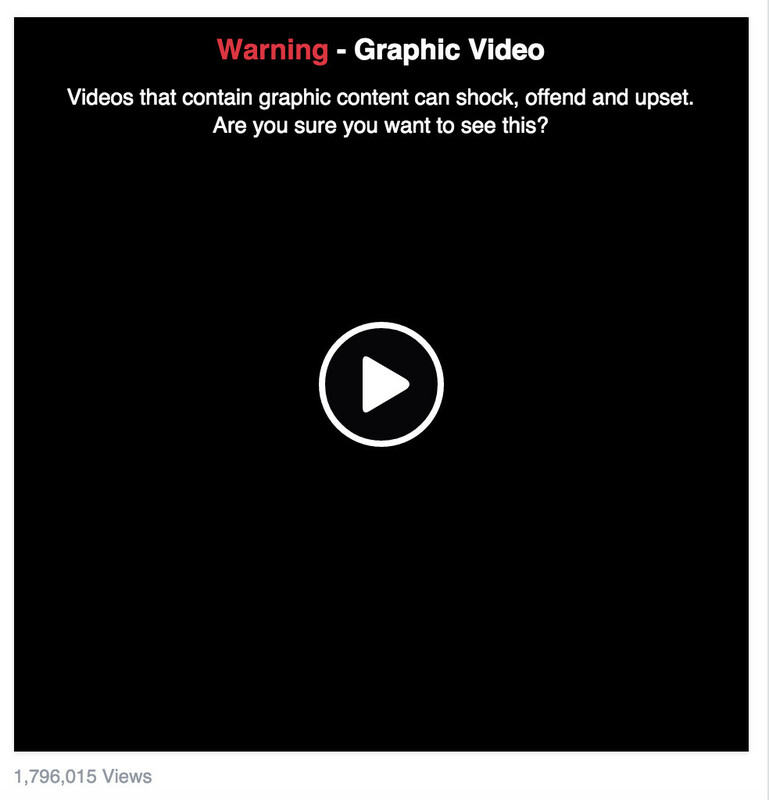 Users are finding that Facebook censors and even bans them with increasingly frequency. Perhaps the “open social media era” will soon come to seem as much of a thing of the past as the open Internet of the 1990s. If states have limited control over global social media, people now live in cities that are increasingly divided. After the Charlie Hebdo attacks, French prime minister Manuel Valls highlighted “territorial, social and ethnic apartheid” as a cause of the violence. Separation isn’t working. Gentrification patterns worldwide are producing the same result: a small central zone of the wealthy, surrounded by a much larger periphery of everyone else. Now this divide seems insufficiently secure. Walls are going up worldwide to reinforce these exclusions. 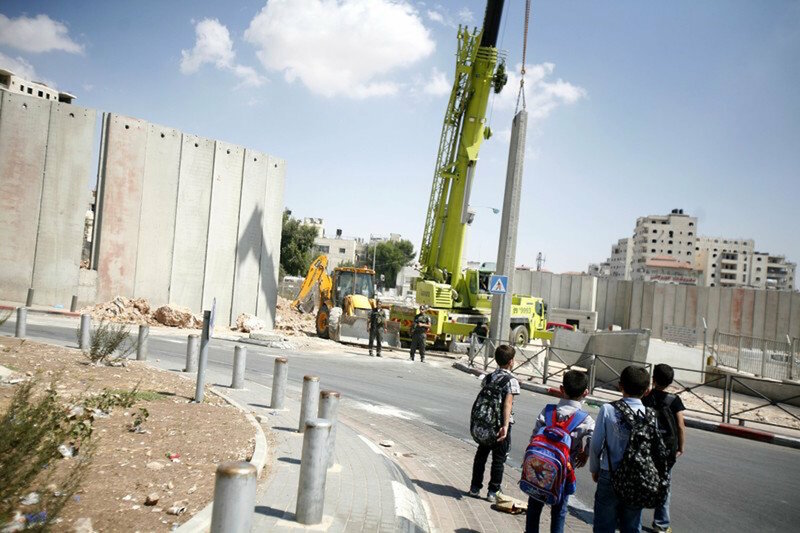 Israel has extended its Separation Wall into the heart of Jerusalem, creating a city that resembles Cold War Berlin. The Palestinian school children in the photo above are waiting for permission to approach the Israeli soldiers. They will be asked to raise their trousers and shirts to prove they are not wearing suicide belts. They may be body searched and have their backpacks searched. Holiness seems elsewhere. These conditions of war, insurgency and divided cities seem dominant and urgent. In the commentary and reviews of my book so far, little has been said about the chapter on climate change and environmental transformation. In 2015 we learned that what has long seemed to be a slow moving disaster is picking up speed. This is where visual activism is most engaged, most needed and still has most work to do. 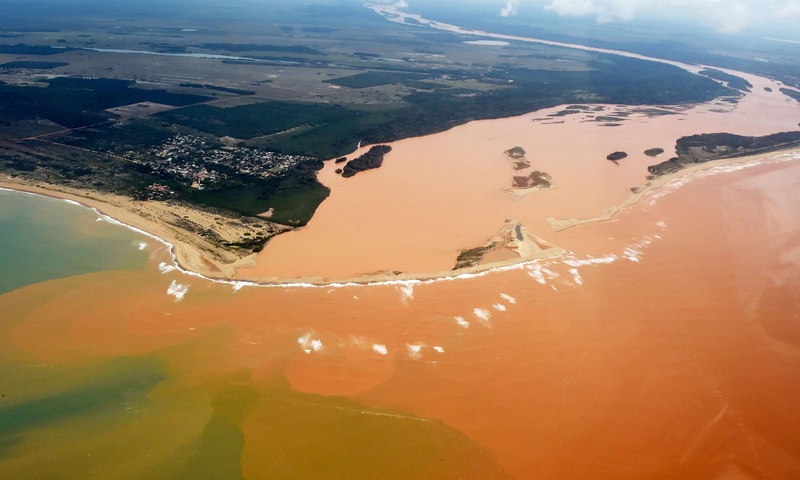 This widely-circulated photograph shows the result of a leak of mining byproducts produced by corporate mining giant BHP Billiton into Brazil’s Rio Doce. According to UN investigators, the disaster “released 50 million tonnes of iron ore waste, [which] contained high levels of toxic heavy metals and other toxic chemicals in the river.” It is now considered dead. The silt spread over 850 square kilometers (about 500 square miles) and ended up in the Atlantic. This aerial photo, however, is formally beautiful and tells us relatively little about what has taken place or to whom. On the ground, the realities of the situation are clearer. 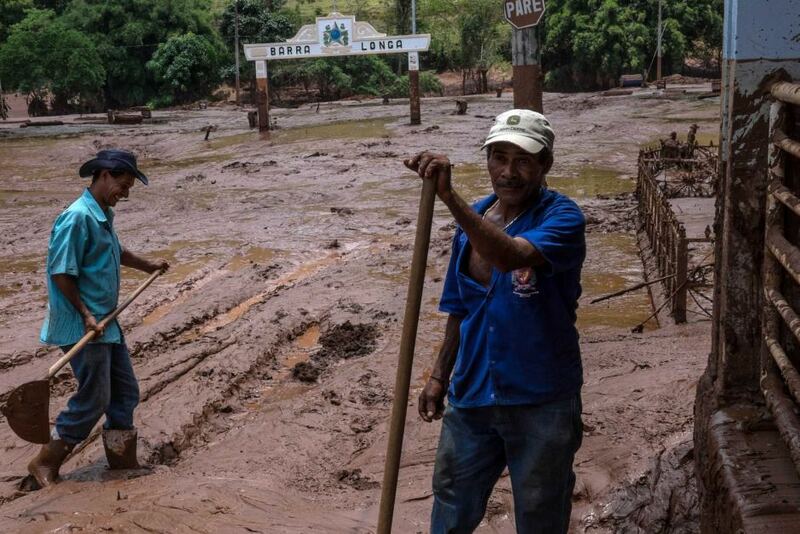 Far from the coast, Barra Longa was inundated with mud, even as BHP Billiton continue to deny that there is anything harmful in it. The Krenak, an indigenous people of the area, have blockaded iron ore shipments out of the region, protesting the loss of clean water for themselves, plants and animals. BHP donated some bottled water, expecting world attention to wander before long. 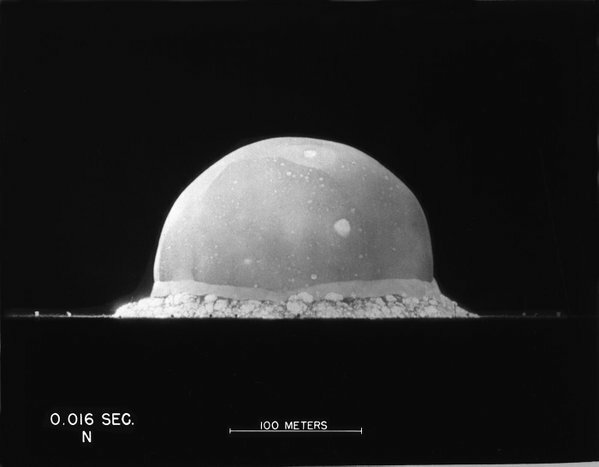 So it is striking to see that the Anthropocene Working Group, an international association of geologists, has determined that the Anthropocene (the human era) began with the detonation of the first atomic bomb in 1945. This year, by chance, a photograph of the first instant of the nuclear era, which is now also the Anthropocene, was released. As a technical accomplishment, the photograph–not to mention the bomb–is remarkable. The formal power of the image with the dome lifting to reveal the infernal explosion within is undeniable. But it must be resisted, reshaped and redefined. Activists have become skilled in creating media events to extend the reach of their actions. 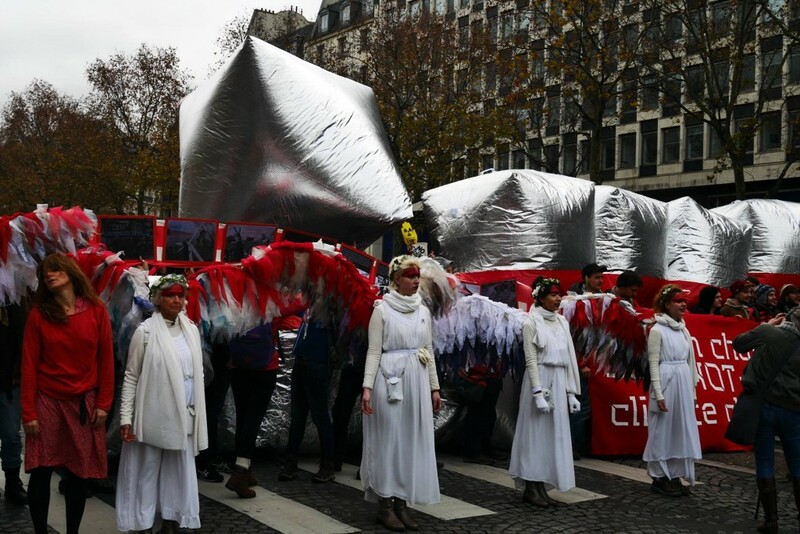 During the COP21 climate conference, they successfully defied a ban on protests and produced some memorable images. The women in white below called themselves the Climate Angels. The day before this march, they blockaded an energy company called ENGIE. This bland name conceals its past as the Suez Canal company for whom Egypt was invaded in 1956. More recently, coal mines owned by the company had caught fire in Australia with familiar toxic consequences. The inflatable cobblestones being carried behind them refer to the traditional French revolutionary practice of building barricades. The red line across them delineates boundaries that activists wanted to indicate should not be crossed. As visually striking as this image is, it’s perhaps a little too complex and needs rather too much explaining. it shows how difficult it is to render the abstraction of climate change into actionable forms. 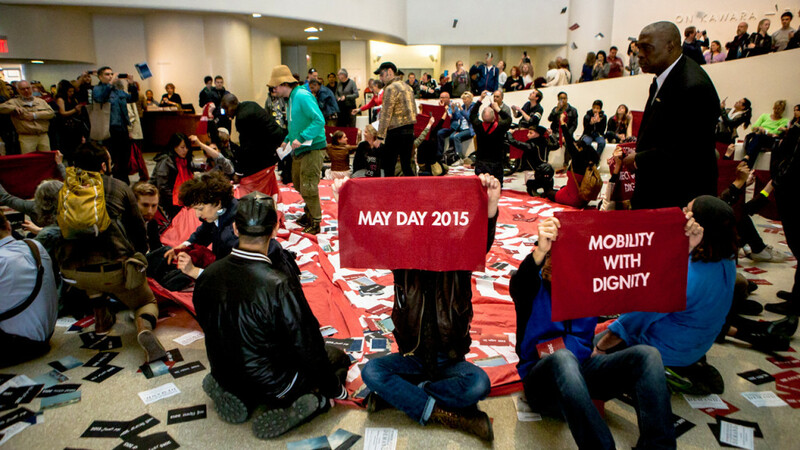 Earlier in the year, Global Ultra Luxury Faction or GULF had led an occupation of the Guggenheim Museum on the symbolic date of May 1, the international labor holiday. The call here was simple and direct. The Guggenheim is building a museum in Abu Dhabi and refuses to pay fair wages to its migrant labor force. These repeated actions embarrassed the Guggenheim and led to direct discussions over the labor issue. Even GULF has not yet been able to convey the climate disaster of building an air-conditioned museum made of metal in a desert. The lesson to be learned, perhaps, is that visual activism needs to be both site-specific and multi-faceted. Images are not simple, which is why they are powerful. They condense information and emotion into a frame, creating energy. Taking action with and against them unleashes all of that energy and requires a networked response. One version of this activism is the interface of digital networks with street protests that has characterized the Black Lives Matter movement. As incidents of police violence continue to proliferate, Black Lives Matter has persisted and developed. The early focus on violence against men has been challenged in 2015 by #SayHerName. First developed in February as a hashtag by the African American Policy Forum, #SayHerName developed into street action in May. Women blockaded traffic, appearing naked from the waist up. Participants described this tactic as a reference to African traditions as well as means to convey both vulnerability and power. On July 13, Sandra Bland was found hanged in a Texas jail cell after she had been arrested following a routine traffic stop. 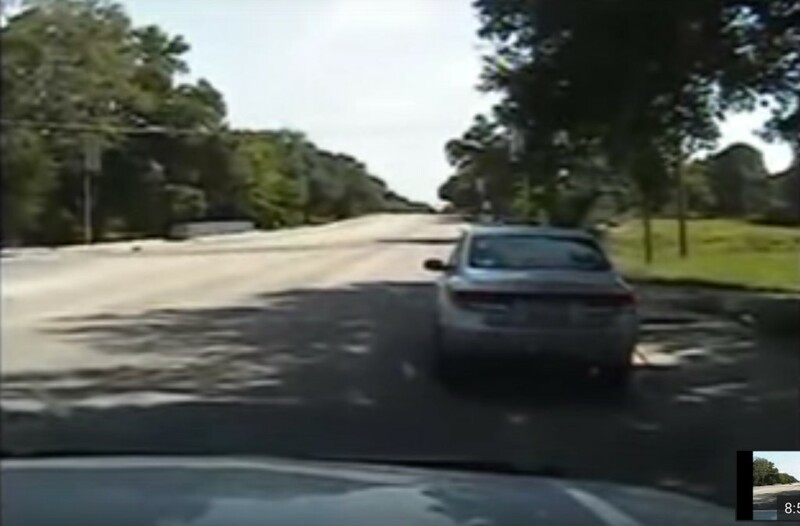 Dashcam video from the vehicle of the arresting officer made it clear that the “offense” of failing to indicate when changing lane was meaningless on the deserted stretch of country road. Unlike previous police murders of women, Sandra Bland caught national attention and protest. The by-now expected failure of the grand jury to indict the police was quietly released late at night just before the holidays. Let’s end this survey with a success. 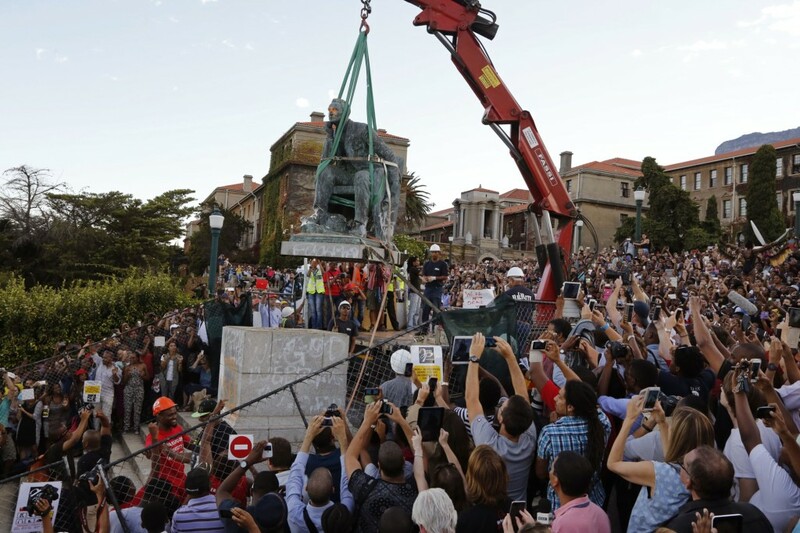 Students at South Africa’s prestigious University of Cape Town moved to decolonize their campus by removing the statue of arch-imperialist Cecil Rhodes.The #RhodesMustFall campaign blended social media networking with direct action and intense discussion. It created a moment in which it was impossible for the symbol of white supremacy to remain in place. As the statue, seemingly derived from Rodin’s The Thinker, was lifted away almost all those in attendance were documenting its removal. 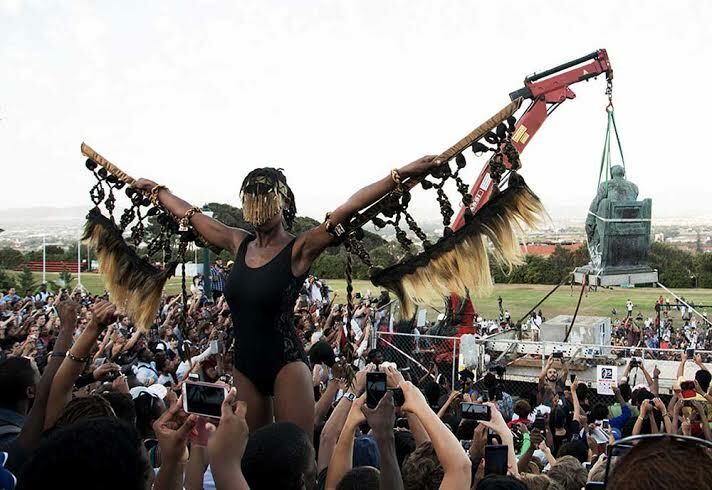 In the top right of the picture, you can see the remarkable performance by the young South African performance artist Sethembile Msezane. Getting my mind to a place where I could ignore the pain my body was feeling while I stood on my plinth wearing 6 inch stilettos for about 4 hours; and witnessing this historic event while temporarily placing a black female body before and after the removal of the Rhodes statue was definitely a triumphant moment in my book. The “win” was a moment. One prepared for by engaged activism, on and offline. Sealed by a durational performance that required its own training, physical and mental. From that beginning, South African students nationwide were able to overturn proposed tuition fee increases and there is now a sense of potential transformation at hand. That these hopes have been dashed many times in South Africa and worldwide, I need no reminding. That the moments keep coming in which the energy contained in social and visual frames breaks out of the restraints imposed by and as the society of control, I take to be the condition of the present and the hope for future years ahead. But we could not get out of 2015 without one further reminder from the police as to how those frames work in practice. In the quiet time between Christmas and New Year, yet another grand jury has failed to produce an indictment of police. 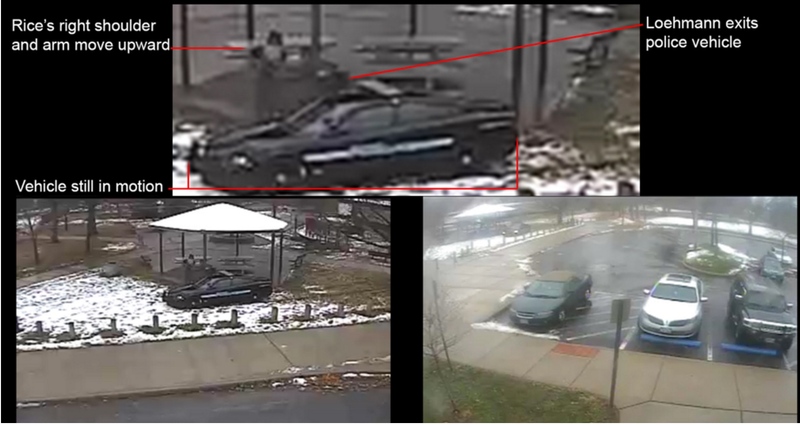 In this case not only despite clear visual evidence of the killing of Tamir Rice but using that very evidence. In the frame above, described by prosecutor McGinty as “perhaps the most critical piece of evidence” in the entire case, Rice’s elbow appears bent by comparison with the previous frame. By taking the low-res video and breaking it into frames, the analysis created a sense of change and transition that is not perceptible when played at normal speed. Even so, as far as I can see, his hand remains in his pocket and I cannot see the toy gun that he allegedly pointed at police. But that bend is, in the frame of the police view of history, enough. Enough to give the police, who are always assumed to tell the truth, space to make a mistake. Shooting justified. A twelve-year-old dies because his elbow moved. If I had to guess, I imagine he is raising his hands inside their pockets. His gesture was one of submission but because the hands are moving in proximity to that fatal area of our garments, the waistband, it’s enough. This blog ends here. But it’s not over. Break the frame in 2016, whenever and wherever you can.